Taking thorough care of your plants and trees will ensure they grow well and add value to your property. 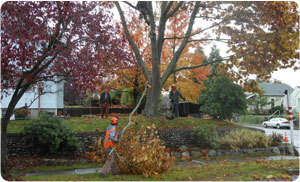 You need the help of tree care professionals who understand this area in order to receive the best possible services. If you are looking to enhance the look and value of your property, we can help. With us as your certified arborist, you can be assured of only the best of services. Equipped with the latest equipment and techniques, our arborist will ensure that your property will look its best. Call us today to find out the costs of maintaining your investment in your trees. We will not only provide you complete information regarding our services but will arrange an appointment as quickly as you want. 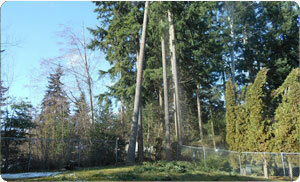 Why Choose Us for Tree Care Services in Lake Tapps? With us as your tree care specialists, you need not worry about anything. We will not provide excellent care for your plants and trees but will also recommend any design improvements that might enhance the look and value of your property. 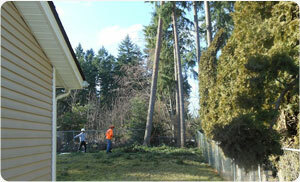 If you are looking for reliable arborists in the Lake Tapps area, call Hunter’s Tree Service at (253) 777-1938. We look forward to working with you.